This balanced colourful mix consists of various types of lettuce. 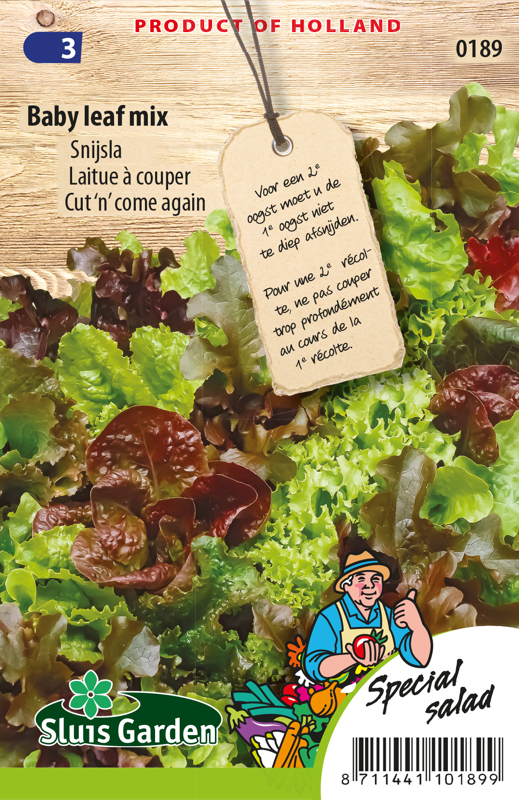 The taste of these soft lettuce leaves is deliciously fresh and slightly nutty. The leafy mix is matched in such a way that all the types can be harvested simultaneously. After having cut away your 1st meal, the mix will grow again and can be cut for a 2nd time. 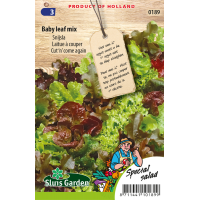 The leafy mix consists of Lollo Rossa, Salad Bowl, Little Leprechaun, Favourite and American Brown.